I have known about services like Dropbox and applications like Evernote for some time but never really invested much effort into working with them. Why should I? There are countless scraps of paper strewn around me to keep track of everything. The issue becomes that taking those scraps of paper and centralizing it, then sharing it from work, home, and my mobile self becomes very difficult at a certain point. I am going to go over a few applications that I think help enormously in keeping track of things. 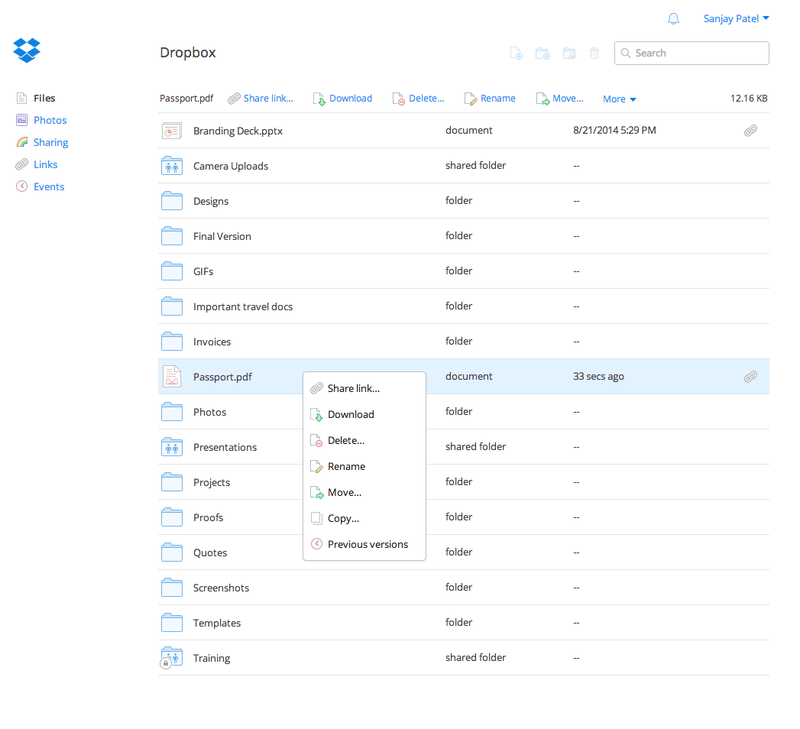 Dropbox is a centralized server system with integration for Windows, Mac, and a variety of mobile devices such as iOS, Android, and Blackberry. I currently have Dropbox installed on my iPod Touch, and use it frequently to check documents, notes, and even code. Although it lacks programmer specific qualities, having a simple centralized file server that syncs automatically with all my computers is invaluable. I no longer have to worry about carrying flash drives, discs, or even make sure someone has SSH installed so I can hit my servers. I highly recommend giving it a try if you have not already. It’s free (as in beer) to sign up and you then get 2GB of space. If signup via one my referral links you will also get a bonus 250MB to use. They do offer plans for 50GB and 100GB but I doubt that will be needed unless you need to retain a large amount of data. Evernote is an enhanced note taking and storage system. Like Dropbox it has a multitude of cross platform and device implementations. I primarily use it to replace the native Notes application on my iPod. Evernote has a simple goal, to help you remember everything you possibly can. It has multiple ways to “capture” things, from basic text notes, photos, screenshots, voice recordings, to even clipping whole web pages. All of these items are then placed into a common bucket which is indexed and made searchable. The real power in Evernote is the recall ability. The downside is you are unable to keep notes locally without an internet connection on mobile devices. In order to do that you need a paid subscription, something I’m unwilling to do at this point. Instapaper falls beautifully into that “simple but effective” category Dropbox falls into. The idea is to turn web pages into stripped easily read documents suitable for any device. It does a fantastic job. Applications are available for reading on a variety of mobile devices, including the Kindle and iOS. Doesn’t appear to support the Android market at the moment. For a one guy shop it’s pretty impressive. Notes are downloaded and saved on all devices, with the option to flag (“star”) pages that you find helpful (others can view these) and archive pages you have already read. A perfect example of usage from a programmers standpoint is the ability to take documentation and centralize it into a folder on Instapaper. Then you can browse it anywhere you want. I want to learn some Haskell? Push the first twenty or so pages into Instapaper and I can read on the train, on a flight, or anywhere else. Instapaper is a great example of simply reaching a goal. “Read web pages easily or store them for later.” I actually think it does a better job then Evernotes Clip Webpage feature, which requires a browser plugin and (for me) often doesn’t work or capture the entire page. I hope my brief descriptions encourage you to look at some of these solutions.